We’ve rounded up the Q2 to-dos you should keep in mind to ensure company-wide success in the months ahead. Tax season isn’t just for employees—make sure your team has submitted all of your completed forms to the IRS by this deadline. Once you finally cross taxes off your checklist, don’t forget to get your payroll house in order to ensure this process runs smoothly next year. Tax Day is the deadline for filing all individual tax returns, so make sure you’re accessible to your workforce in the days leading up to April 17. Beyond sending W-2s, consider offering educational resources to help employees with filing their taxes in a timely and accurate manner. Earth Day falls on a Monday this year, so it’s an opportunity to acknowledge a cause many of your employees likely care about. You might highlight the event with company fundraisers, recycling reminders, or friendly contests based on environmentally friendly initiatives. This holiday honors employees who may sit on your very own team, so don’t miss the chance to thank them for all that they do. You know how hard your administrative staff works to ensure your office runs smoothly, so encourage the entire company to show their thanks. Bring your child to work day is a great way for companies to show employees that they care about more than just business results. Encourage employee participation, plan snacks and activities for the kids, and get the whole team excited. For employees, sharing their daily routine with their families can be both meaningful and fun. Even though Winter technically ends in March, May is usually when it starts to feel like spring. Brighten up your office with spring decorations, or consider planning a celebration for employees. Join 400+ HR thought leaders in the Big Apple for two days of educational sessions, networking, and fun. This is the perfect way to kick off conference season, and take your HR practice to the next level. Though this holiday falls on a Saturday this year, it’s an important time to honor employees who have served or have family members serving. All it takes is a simple acknowledgement, and this gesture has the potential to create meaning for employees. As the first bank holiday since President’s day back in February, employees will be ready for this day that essentially kicks off summer. Be sure to recognize employees for all of their hard work through the busy-season and encourage them to enjoy the long weekend. This year, the biggest HR conference will be held in the Las Vegas, NV. Join us for nearly a full week of HR idea sharing and networking. The moment we’ve all been waiting for! Consider kicking off the arrival of summer with a team activity, implementing summer Fridays, or encouraging employees to use their PTO during these slower months. 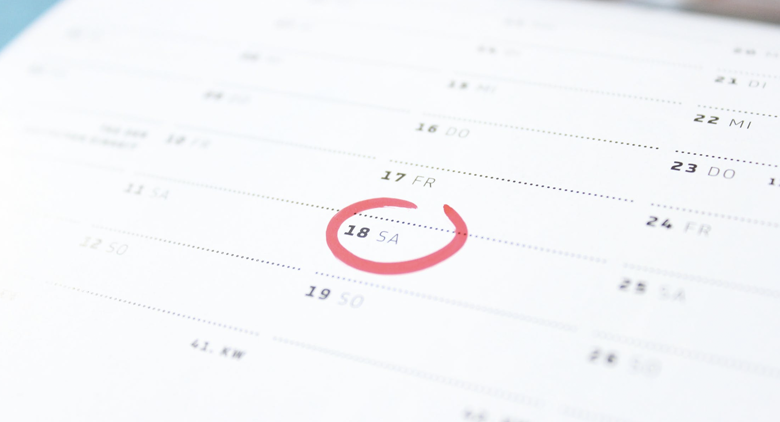 Download the 2019 HR Calendar to stay on top of other key holidays, deadlines, and best practices.